This is a stylish ladies 3.2 oz., 95/5 cotton/lurex, Glitter knit throughout fabric. 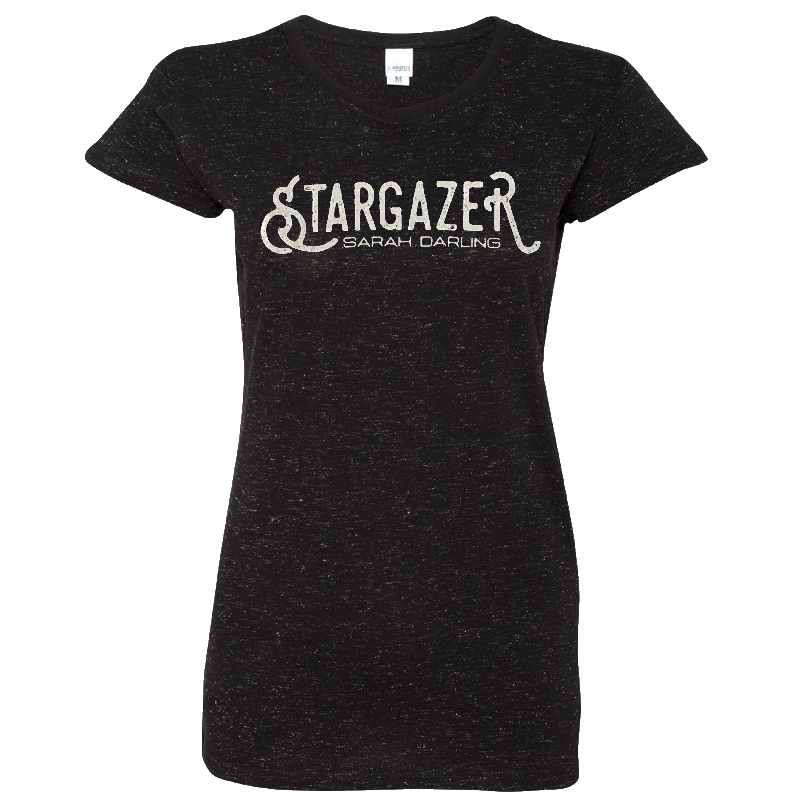 Track #10 on her Dream Country album, Stargazer printed on the front in silver shimmer ink. © 2017 Sarah Darling. All Rights Reserved.